My birthday is coming up next month, and I thought it would be fun to make a cute wish list. 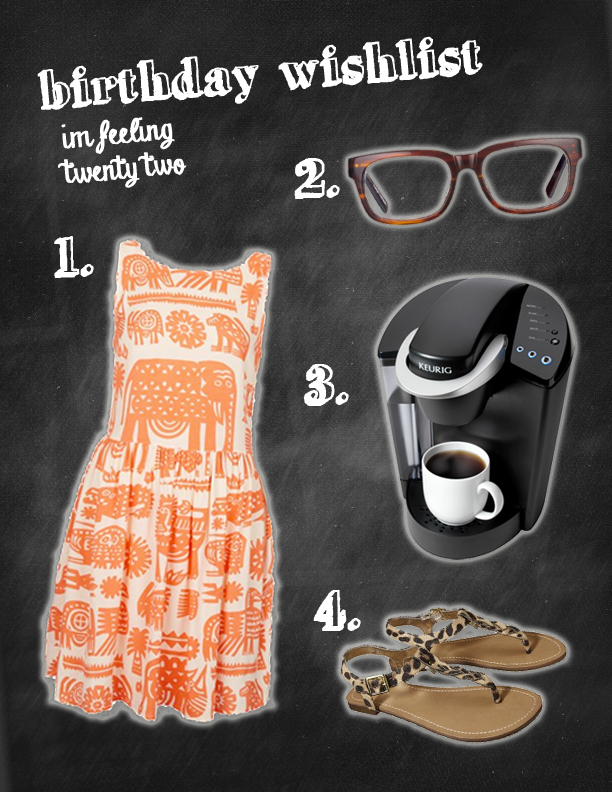 I love the print on this dress, and I’ve been obsessing over these eyeglasses for months now. A Keurig would be a nice addition to my home when I move to Texas in August. Leopard print is always a great addition to my wardrobe, and I currently own leopard loafers & heels. Why not leopard print sandals?